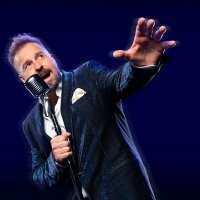 The acclaimed English tenor Alfie Boe used to be a car -valet before opting to, ahem, polish-up his act and move into the big time via a successful audition at the D'Oyly Carte Opera Company. It's the stuff of legends and Boe has since studied singing at the Royal College of Music and the Royal Opera House. In 2006, after starring in the Baz Luhrmann-directed stage-version of "La Boheme", Alfie cracked the classical charts with "Classic FM Presents Alfie Boe" and earned himself a BRIT-nomination in the process. He appeared in the 25th anniversary concert for "Les Miserables" last year at the O2 Arena and it's this show which forms the basis of his new chart-bothering album, "Bring Him Home" and the similarly-titled UK winter-tour just announced recently. His first port of call is Bristol on 6th December, followed by London's Royal Festival Hall on the 8th and many more including a stop-off in his hometown of Blackpool on the 17th before concluding in Nottingham on the following night. Tickets for the tour will go on sale this Friday at 9.30am. Update - more dates added! After selling-out a number of his December dates, Alfie has now added new and extra dates in January. Tickets are on sale now from £20.